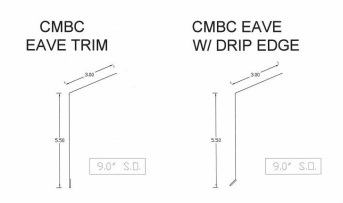 ©MBCI Rib heights vary slightly according to manufacturer. This PBR type panel is recommended for commercial and agricultural applications. Support purlins should be spaced at 60" O/C (On Center). 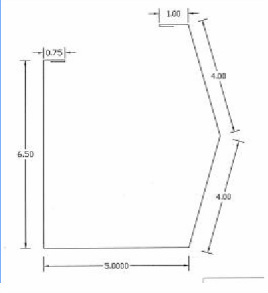 Size, orientation and installation method of purlins are determined by rafter spacing. Insulating underlayment may be needed, depending on intended use of structure. Almost always a good idea. Panels should be attached to purlins in the minor flat at the left major rib. 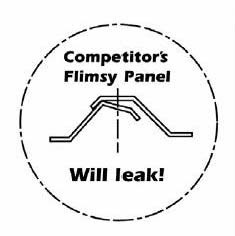 Panels should always extend at least 1 1/2" beyond eave trim ; up to 8" if no gutter is to be used. In my opinion, this gutter is too gaudy for residential use, but really looks good on a commercial building. custom residential gutter can be designed and fabricated. Gutter is attached by screws through the flat of the panels into the 3/4" lip of the gutter @ 12" O/C. Face of gutter is held straight by gutter-straps @ 36" O/C attached to panel ribs and 1" lip of gutter with screws. Downspouts are then attached to the gutter. 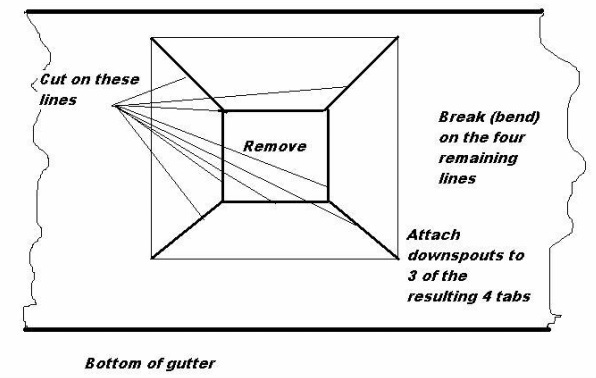 Gutter is marked (see sketch below) using a plastic (less likely to scratch finish) speed square to match size of downspout, and tabs are made for downspout attachment. Top of rake trim is attached to flat of panel at 1"lip with screws @ 15" O/C and sealed with mastic. Face is attached at 1 3/4" lip with screws at a maximum spacing of 36" O/C. 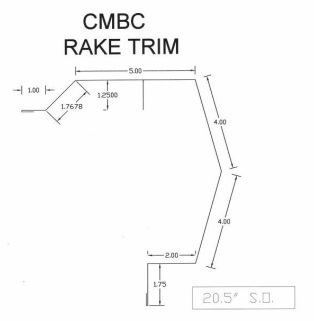 Altough most manufactures can provide corners to join the rake trim to the gutter, they seldom fit well. It is easier to make corners than to use the prefabricated ones, and usually looks better.